It's luxury - all the way - with this new yacht charter company that's now cruising our turquoise waters. 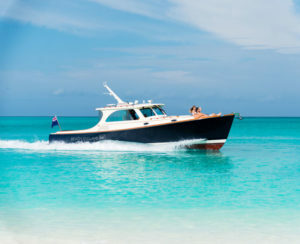 With a fine fleet of vessels, you can't go wrong with recommending and booking this amazing LUXURY EXPERIENCE when you book your high net worth clients to Turks & Caicos. The AQUATA, 60 ft luxury yacht offers luxury and high quality service with reliability and expertise are standards. The finest foods and beverages, including fine champagne are fully inclusive. The highly trained crew with extensive experience and local knowledge will insure your private yacht charter is an exceptional experience. Africat 42’ power cat - Wide & stable luxury. Ideal 12-18. This popular 42ft luxury catamaran provides a relaxed platform with unrivaled stability to soak up the cool vibes of the North Shore and the Caicos Cays. Enjoy some beach time, reef snorkeling, long lazy lunches or a tropical sunset cruise. Hakuna Matata "NO WORRIES" thats exactly what you will experience aboard our 40ft Regal Commodore Luxury Cruiser, equipped with the finest amenities Turks & Caicos has to offer.